The Pha Dang National Park is worthwhile destination for a nice daytrip from Chiang Mai or Chiang Dao. The park in Thailand’s Chiang Mai province shelter hot springs, a waterfall, flower garden and an herbal area. 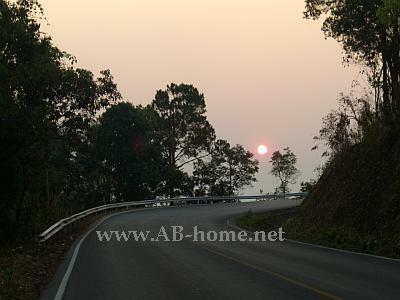 Accommodation is as well available at the headquarter of this 1100 square km huge national park near Chiang Dao. 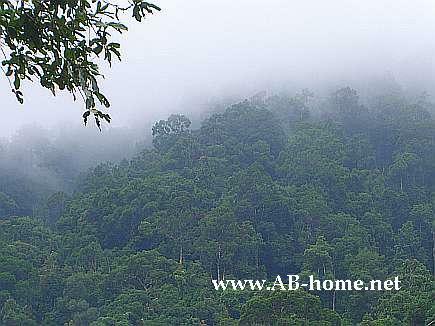 At the Pha Dang National park are many bird species, many wildlife and rare kinds of plants. The entry fee for foreigners is 100 Thai Baht and including all attractions like the Pong Arng Hot Spring and the beautiful Srisungwan Waterfall in the north of Chiang Mai province. The Pong Arng Hot Springs have a temperature from 58 C. At the nice Park you have the chance to bath into the mineral water of this natural wonder here in Thailand. The infra structure is good, there are locking rooms and showers direct on the springs. On the Sri Sungwan waterfall are a campground, picnic tables and many quiet places for rest and meditate to the sound of the Asian nature. On the way back to Chiang Dao you can stop at the Wat Pla That Mornjing for another non touristic highlight on your travel trip through northern Thailand. If you want to come here than you can take the road number 107 to Fang and follow the signs to the Pha Dang National Park. The turn is about 35 km out of town through beautiful landscapes of the north of this beautiful country in Asia. 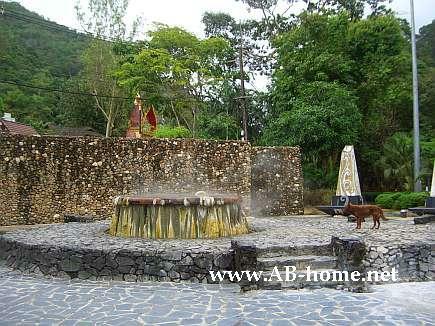 On our Thailand travel tour 2006 we visited Ranong to see the mineral hot springs. This city is the home of about 30000 Thai people. We was coming by bus from Phang Nga.The turn with a public bus 3th class took us about five hours. I our Thailand Lonely Planet we found the “Spa Inn” hotel direct on the highway. This hotel took the water direct from the Ranong mineral hot springs in the bathtub of our hotel room. It was nice to have a hot bath after about one month low budget traveling. For eating we was mostly in the Springs Guest House. The owner from Australia offer good breakfast. The first evening we was searching for the Chuan Aksam Bookshop in the city, we walked and walked threw the center of Ranong but we don’t found. This evening we was eating a great sandwich near the Th Phoem Phon road. On the next day we walked along hills with tight jungle on. The big trees cached the clouds. A beautiful view! 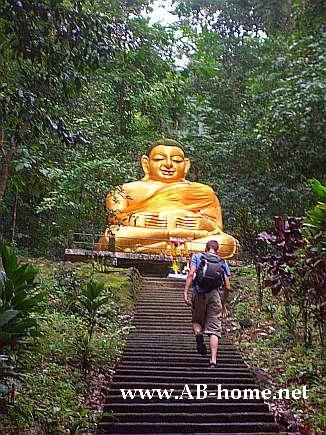 On the way from our guesthouse to the springs we pass a big Buddha statue in the mountains. The 65C degrees hot water from the springs come out of earth near the Khlong Hat Sompaen river. The locals believe that the water from the mineral springs is holy and care many sicknesses. Here we was the only farang tourists who are traveling through Asia. Many Thais from all provinces come in usual on weekend here to clean them self with the holy water. Near the springs are many restaurants guesthouses and hostels. For more information about possibilities to stay in Ranong look in the Lonely Planet travel book or ask at any booking office in Ranong. If you are a scuba diver than don’t miss a diving trip to the Burma banks. You can book small liveabord tours from two days in nearly every guest house. The price was in 2006 for two days on a diving boat with full scuba equipment and divemaster or Padi instructor about 200 USD. From here we traveled after two nights at the “Spa Inn” to Chumpon in north direction. This spot in southeast Asia is good for every Backpacker or travelers who want to do a short break on the way up the north. Ranong is nothing special but still it’s a nice city in Thailand with flair. 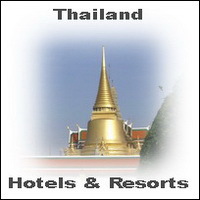 Click here for Pai accommodation and hotels. My wife and me was in august 2008 direct after Chiang Mai in Pai. 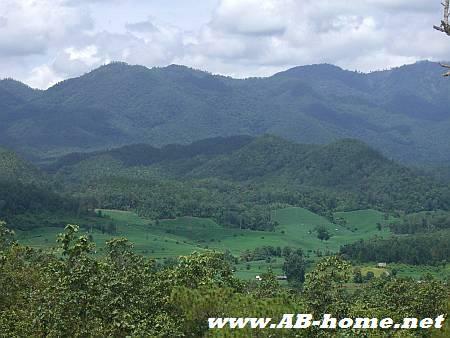 Pai is a small village at Mae Hong Son province in north Thailand with 3000 habitats. Here is everything small and idyllic. Small Restaurants, Cafe’s (like: All about Coffee, Pai Now, Sincere Coffee…) and guesthouses with style and ambiance dominate Pai. We was staying at the Breeze of Pai guest house next to the River. Some other good accommodation in Pai are the Lisu Hotel and Baan Pai Village. The most famous tourist features are elephant riding, rafting, hot springs, three waterfalls and some minority villages not far from Pai. The main sight is Pai itself! Musicians, artists. spirituals and backpacker must be fans of Pai in mae hongson. The mix of all give a harmoniousness cityscape. The harmonies of mountain and woodland is amazing. Actually i come to Pai to visit a friend who have some small bungalows and the Stone Free Bar at this beautiful part in mae hong sorn. Before he was living on Ko Chang and was the owner of Thale Bungalows. I was living 1,5 years in his Bungalows direct on the beach. Nearly every evening sounds live music out of the pubs. Blues, Reggae, Rock n roll, jazz and many more options You have. 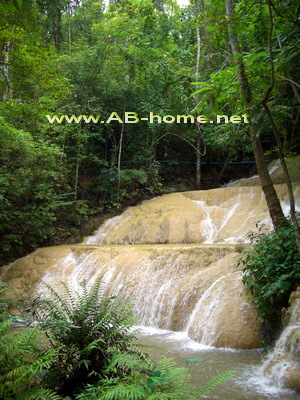 Some famous locations for nightlife in Pai are “Buffalo Hill” and “Mellow Yellow“. 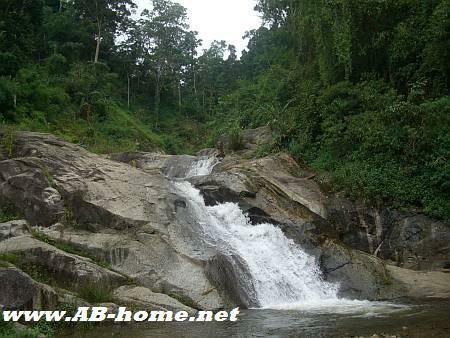 The Pai hot springs come out of earth in a evergreen forest and runs into a small river. The natural river pools have about 40-50C, perfect for a hot mineral bath in the nature. The river witch runs slowly and easy through the mountains can be a mirror of the lifestyle of the habitats here in northern Thailand. One of my favorite sights in Pai is the “Nam Tok Mo Paeng” waterfall. This Waterfall is easy to attain with a motorbike (scooter). Its about 7 km out of the center. 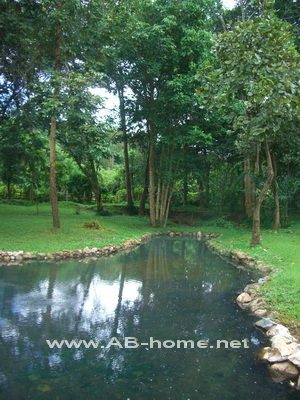 The Stonefree bungalow park offer some easy but beautiful possibilities to stay. In the evening you can see the sunset over the mountains on this spot. The restaurant of Stone Free offer good and cheap foot, many good friends and a amazing ambiance, in nighttime you can listen to the “Sticky Rice Blues Band” which play from while to while at Thale Mhog in Pai. The beautie in Maehongson is surrounded of ever green mountains who catch the clouds. From the “Wat Phra That Mae Yen” temple You have a good viewpoint over the environment and over the mountains with neon green rice fields. At the Chinese minority village you can see a beautiful Chinese open air temple with a big golden Dragon statue. After one week it was time to say: see you again Pai! We was going with a bus back to Chiang Mai and from there we book plane tickets to Bangkok Suwannaphumi Airport. The AirAsia flight was cheap and good. From the capital we took a taxi to Leam Ngop to reach the last ferry to Koh Chang at seven pm. For this trip in the north of Siam i used the Lonely Planet travel guide for Thailand. My result for Pai: Its beautiful, one of the most beautie villages in south east Asian i saw right now! Amazing! Visit this small village in Asia, You will enjoy if you like quiet and relax holidays. PAI: Love in the mountains! In April 2009 we come the second time to Pai to make holidays. We stayed about two weeks over the Songkran Festival. Compared to our first time here in this cosy village we did nothing, just relax and hang around with some friends. 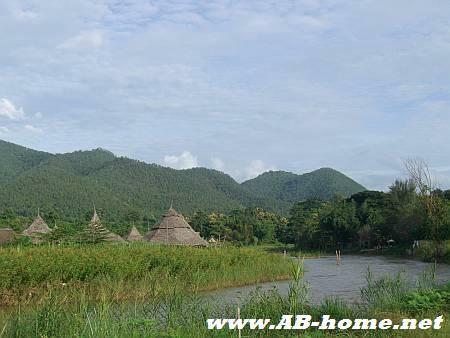 Just one day we did a daytrip to Mae Hong Son, Tham Pla Fish Cave and to a Longneck Karen village. But actually our normal day was like: we woke up at the morning in our Bungalow next to a small river, had breakfast than we walked back to the hut where we chill on our balcony and listen to the sounds of the nature. After lunch we sit on grass, talked and drunk some beers with some friends. At the late afternoon we droved nearly everyday to the central market in Pai to buy something for dinner. After food we was sitting around a small fire and went back to bed early. Pai in north Thailand is the perfect place to do nothing! The highlands around the Bungalows are beautiful, especially at sunrise when the fog hang inside the Mountains. After sunsent you will reconize some forrest fires in dry season. The Rain are rare in this time and the Asian Forrest are realy dry, so becareful where you put your cigarette. We enjoyed our holiday’s here at this peaceful place in Thailand and we will come back if we find time. 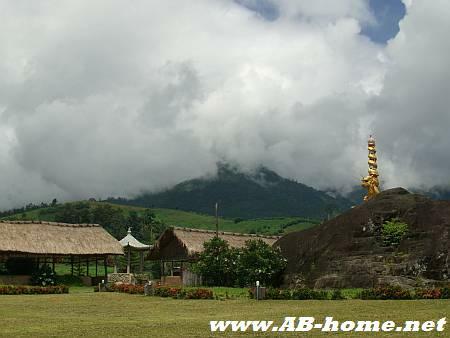 Pai at the Mae Hong Son province should be a “must see” destination for Backpacker in Southeast Asia!